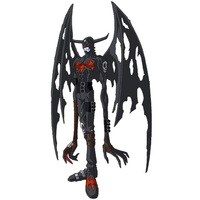 A Fallen Angel Digimon whose body is clad in jet-black cloth. 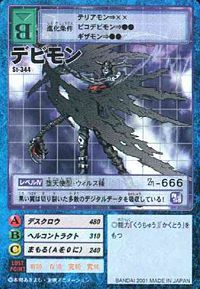 Although it was originally a shining Angemon-species Digimon, by falling to the Dark Area, which exists in a spatial distortion of the Digital World, it became a fallen angel. As proof of that, the Mark of Evil surfaced dramatically on its chest. It has a cunning and fiendish personality, but it also possesses an outstanding intellect. It is said that those who have stared into its two eyes, which shine a deep crimson, are mind-controlled and completely dominated by Devimon. Its Special Move "Death Claw" is extending both of its extensible arms, and enforcing its will on the opponent's body. 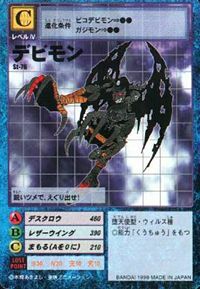 A Fallen Angel Digimon of the Dark Side, whose body is clad in jet-black cloth. 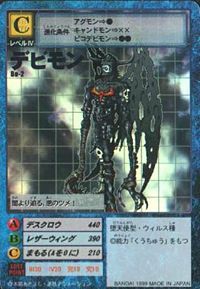 Although it was originally an Angemon-species Digimon, by falling to the Dark Area, which exists in a spatial distortion of the Digital World, it became a fallen angel. It has a cunning and fiendish personality, but it also possesses an outstanding intellect. Also, it is said that those who have stared into its two eyes, which shine a deep crimson, are mind-controlled and completely dominated by its mind. Its Special Move "Death Claw" is a terrifying technique in which it extends both of its extensible, elongated arms even further, and enforces its will on the opponent's body. Although it has the same outward appearance and Special Move as the Devimon that inhabit File Island, it seems its lethal potential and power are remarkably increased. | Devi is short for Devil (「デビル」 Debiru). Death Claw  デスクロウ Desu Kurou Touch of Evil/Black Talon/Evil Wing/Death Claw Extends its claws to puncture the enemy's body. Can also brainwash them. 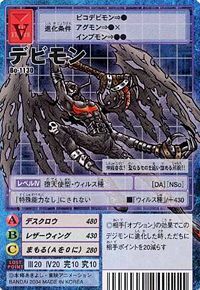 Leather Wing  レザーウイング Rezā Uingu Laser Wing Flaps its wings to fire destructive energy from them, summon a dark tornado, or crush enemies with air pressure. 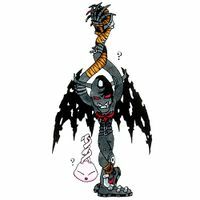 Hell Contract  ヘルコントラクト Heru Kontorakuto Dark Contract/Dungeon Curse Sends a cloud of cursed Digimoji at the enemy or summons up a cursed contract to confuse them. Scratches using the nails on both hands. Radiates dark energy from its hands. 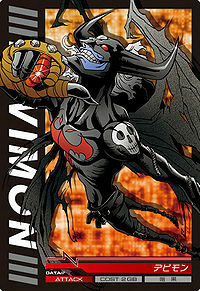 Devimon was the first major villain that the Chosen Children faced. 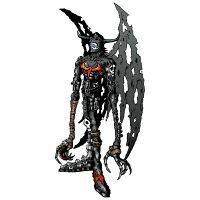 He ruled over File Island and controlled other digimon with Black Gears that would cause them to rage out of control and obey only him. He was destroyed by Takeru's partner, Angemon. 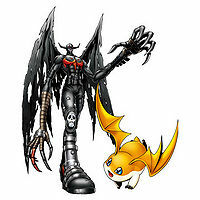 The Digimon Kaiser used Devimon's data for Chimairamon's second pair of arms. 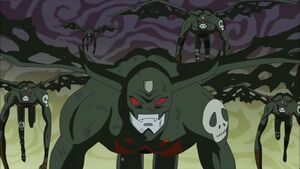 Various Devimon and Lady Devimon are part of Neo Vamdemon's army. He Force DigiXroses with them to change into his first Darkness Mode. A Devimon appears before de Digi Quartz collapsed. 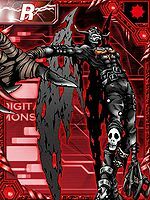 In Chapter 16 Devimon, along with an Orgemon were the first two of Saiba Neo's digimon to be seen. 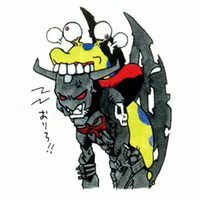 The two could jogress into Skull Satamon. 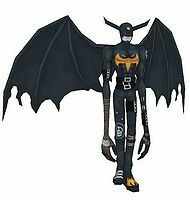 Devimon appears as an obtainable Adult-level Virus type Digimon in Digimon World. 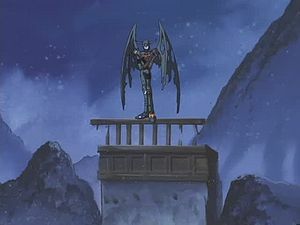 After you rescue Vamdemon from starving in the Dark Lord Mansion, and if you return after a while, Vamdemon will mysteriously seems to be absent so the Player has to go to his secret Lab where they found Vamdemon for the first time and he won't be there, so the Player has to exit the Mansion, and a Devimon will appear confronting the Player, but not fighting, instead he opens a, then unaccessible door due to a mysterious force field and will leave. The next time you see Devimon is not until Infinity Mountain, acting as the first boss. If you manage to defeat it, Devimon will join the Village of Beginnings in the Secret Item Shop along with Numemon, Mojyamon, Mamemon and Igamon. 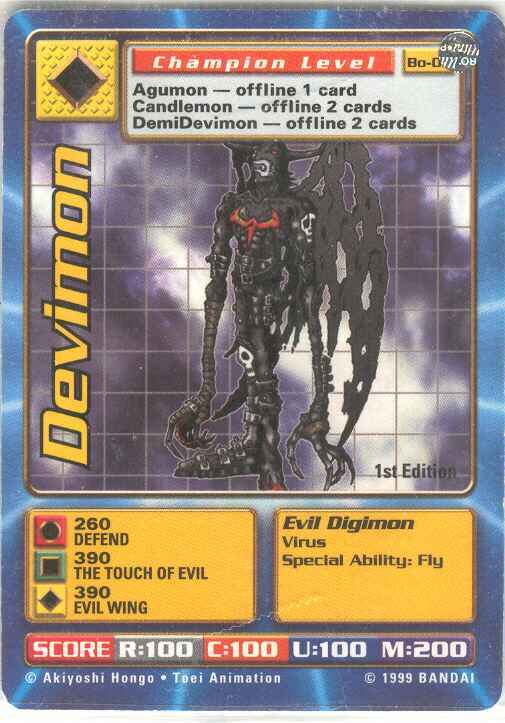 If none of the aforementioned Digimon were recruited, Devimon will build the Secret Item Shop which can be accessed from a staircase at the left of the Item Shop. 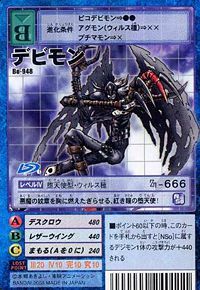 He sells Devil Chips which sharply increase the stats of your Digimon, but at the cost of lowering its lifespan, however. Devimon's schedule matches that of Monochromon, working from evening to early morning. 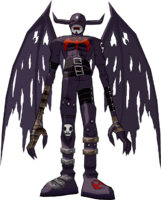 Devimon is the only Adult Digimon that doesn't evolve from any Rookie Digimon, but rather from Angemon via Death Evolution, so in order to evolve into Devimon, Angemon's Discipline gauge must be at 50% or below, and have it lose a battle. However, this method only has a 50% chance of succeeding so its reccomended to save before going to battle an enemy. 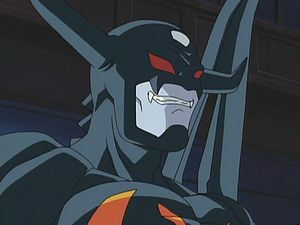 Upon contact with the enemy, Devimon impales the enemy with a pair of grand red claws . 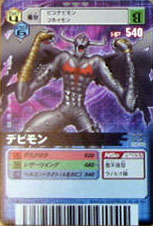 Devimon evolves from Pico Devimon with 4+ DP. It can evolve into Vamdemon with 0+ DP. 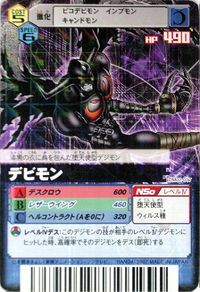 Devimon appears as an opponent and an obtainable Black Card. 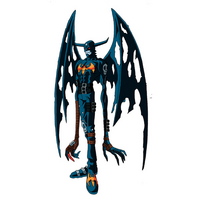 Devimon is an alternate Adult evolution that can further evolve to Vamdemon. Can be evolved from Pico Devimon if above level 28 and Friendship below 20%, or can be found at Sewage Tunnel. 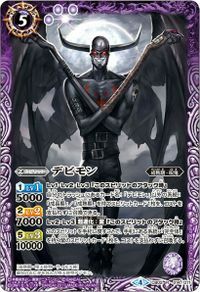 It can evolve into Vamdemon if above level 32 and Darkness EXP above 2500. 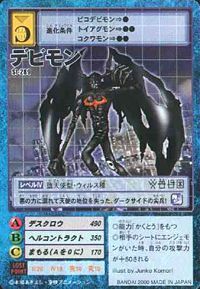 He also appears as a boss Digimon at Sewage Tunnel, where Platinum Scumon previously was, also one of Unknown-D's henchmen. Devimon is an obtainable evolution of Renamon. Can be evolved from Pico Devimon if above level 21 and Darkness EXP 450. Can evolve to Vamdemon if above level 42, spirit 195, and Darkness EXP 10000. 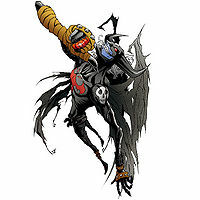 Devimon is an obtainable Digimon. Evolves from Goburimon, Tukaimon or Pico Devimon. 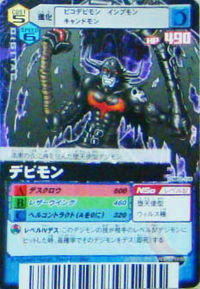 Can evolve to Death Meramon, Lady Devimon or Fantomon. 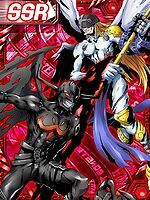 Devimon is an obtainable Digimon, which is evolved from Hagurumon, Patamon, or Pico Devimon, and can evolve to Blue Meramon, Lady Devimon, Lucemon Falldown Mode, or Vamdemon. It can also be obtained as a collectible card. 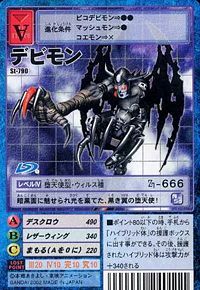 Its card is part of the Dark Devils (黒き悪魔たち, Kuroki Akumatachi) set. Evolves from Agumon or Betamon. 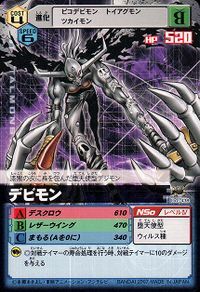 Can evolve to Metal Greymon (Virus). Evolves from Candmon or Pico Devimon. Can evolve to Vamdemon or be Jogressed with a compatible Digimon to get Pumpmon or Fantomon. 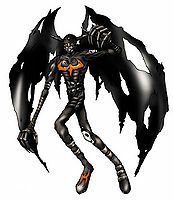 Devimon is the boss Digimon of Area 02. Evolves from Candmon or Pico Devimon. Can evolve to Lady Devimon or be Jogressed with a compatible Digimon to get Pumpmon or Fantomon. 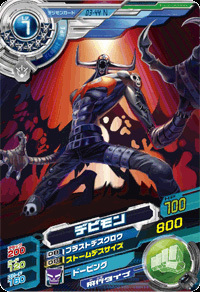 Devimon is the boss Digimon of Area 01 and is available to be-friend upon victory. 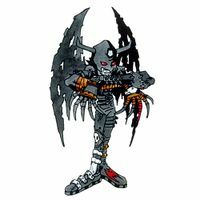 Devimon is the boss Digimon of Secret A and an enemy Digimon in Secret B and Area 6. Evolves from Patamon or Pico Devimon. Can evolve to Vamdemon. 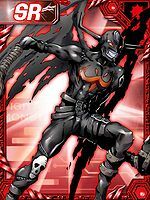 Devimon is an enemy Digimon. It gouges its enemies with its sharp claws! 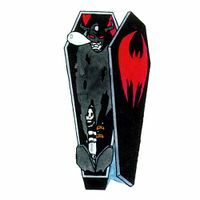 With its evil claws, it attacks from the darkness without warning, showing its true demonic self! Overwhelmed by the powers of darkness, it lost its place as an angel and joined the ranks of the dark side! 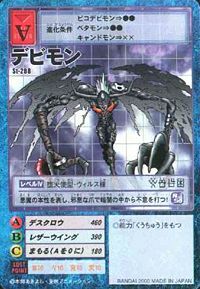 Its black wings absorb the countless digital data they rip up! This black-winged fallen angel was drawn to the dark side and abandoned its light! It approaches from the darkness with its evil claws! A red-eyed fallen angel whose chest burns with the symbol of the devil! Elastic and flexible! Its arms of evil chase after holy beings!! 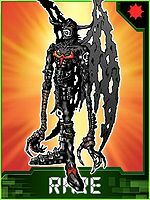 A brutal Fallen Angel Digimon. Those who stare into its suspiciously glowing red eyes will have their minds controlled and become manipulated. 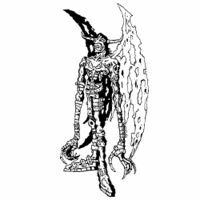 A Fallen Angel Digimon that was originally an Angel Digimon that fell into the Dark Area, and had the Mark of Evil carved onto its chest. 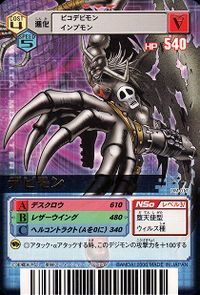 It is capable of manipulating various Digimon using its wicked intelligence and brutal gaze. 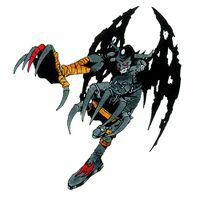 A Fallen Angel Digimon whose body is clad in jet-black cloth. 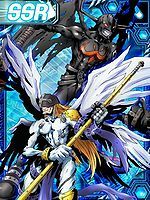 ↑ Digimon Xros Wars: "Spine-chilling! The Moonlight General's Vampire Land"